This is a guest post by Dr Manon Mathias, a Lecturer in French at the University of Aberdeen. Dr Mathias has published several book chapters and journal articles on the nineteenth-century novel, particularly the works of George Sand, and her monograph, Vision in the Novels of George Sand, was published by Oxford University Press in 2016. She has also examined the relations between the novel and science, and recently published a journal article on Sand and Flaubert’s readings of Georges Cuvier’s geohistory in French Studies. She is now embarking on a new project examining the digestive system in nineteenth-century French medicine and culture. Many take a gung-ho approach to hygiene today in the belief that a bit of dirt is good for us. Warnings of antimicrobial resistance seem to justify this position. But at the same time, poor hygiene looms large in health campaigns and adverts as the key agent in spreading colds and viruses. Food poisoning, mostly caused by unwashed hands, also allegedly costs the UK economy nearly £1.5bn a year. It was in the nineteenth century, however, that the fixation with hygiene and its links with disease first came into prominence. Public hygiene was essential in the emergence of modern Western societies, and France and Britain were the leading nations in this field. It was also in France that the germ theory of disease was born with Pasteur’s work in bacteriology. The realisation that germs spread through human contact in particular led to an acute fear of dirt and an increased obsession with hygiene. French and English novels from this period provide special insights into views on hygiene and disease, especially in science fiction visions of alternative societies. Leading popularisers of science, Jules Verne and Camille Flammarion, both wrote such novels in the 1880s. 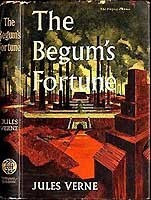 Begum’s Fortune (1880) by Verne features a model city of health and longevity created by French hygienist Dr Sarrasin. Despite Verne’s knowledge of the latest developments in disease and its links with hygiene, however, Bégum is more concerned with the implications for society. In Sarrasin’s ‘City of Wellbeing’, although illness is virtually eradicated, the focus on hygiene is relentless and the lifestyle repressive. The inhabitants’ psychological and emotional health goes unmentioned and at the peak crisis of the book, when the population faces extermination, they exhibit no ‘disorderly emotion’ such as fear or anger and are ‘in thrall’ to Sarrasin. In this germ-free city, the absence of dirt and disease entails the absence of passion, excitement, and independence of thought. Flammarion’s Urania of 1889 goes yet further in its setting and take on hygiene. In this text, two Martians explain that life on earth is a ‘total failure’ due to our reliance on the body. Once the digestive system developed and we began eating other beings, we became base, monstrous and unclean. On Mars, by contrast, they feed themselves through breathing and produce no bodily dejections. But the release from the body comes at a price. The Martians are compared with electrical appliances and live without passion or sexual pleasure. In both Verne and Flammarion’s texts, the ultimate dirty substance, excrement, is mentioned only to be denied. In Bégum, the ‘products of the sewers’ are immediately expelled and transported to the countryside. In Uranie, the lack of digestion makes excrement non-existent. Intimately bound up with this removal or absence is a rational rejection of disease and infection but also a more indirect rejection of passion, physicality and desire. These portrayals of hygienic utopias can be compared with William Morris’s vision of a twenty-first-century London free from filth, crime and disease. 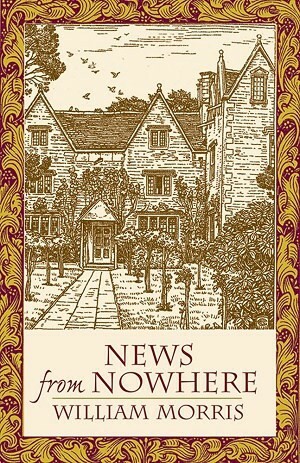 In contrast with Flammarion’s text and Verne’s Bégum, Morris’s News from Nowhere (1890) offers an apparently anxiety-free view of excrement and there is a freedom and openness towards the body in this novel where desire is a central and valued force in society. Morris’s less troubled approach to the body might be explained by the more advanced state of public health reform in Britain. The prohibition of cesspits and linking of homes with sewers, for example, had been achieved in London by the late 1840s whereas this did not happen in France until the early twentieth century. Britain also passed its first Public Health Act in 1848 but France had to wait until 1902. Excrement: residue of the past? However, excrement is mentioned in Morris’s novel to refer back to nineteenth-century society as a place of dirt and depravity, and America is described as ‘a stinking dung heap’. Both allusions use human waste to denigrate societies distanced from the speaker in space or time. Many theorists of disgust interpret faeces as a hostile residue of the past and our revulsion towards the substance as a fear of our own death. Such interpretations are especially relevant to News from Nowhere where people know nothing of the past and are horrified by references to social history. This erasure of the past is, I would suggest, related to the negative understanding of the dung heap, and the novel creates a more complex vision of dirt and disease than at first it seems. Although News from Nowhere offers a more positive approach to the body than Bégum or Uranie and even seems to valorise waste (with the ‘dustman’, for example, highly valued in society), the denial of the past and use of excremental imagery to vilify others reveals underlying anxieties towards the body and its ephemerality. Scholars of history and sociology point to increasing disgust levels as constitutive of the modern Western subject. But the novels examined here do not present the phenomenon in entirely non-problematic terms. The portrayals of utopian hygienic societies reveal instead the fluctuating and contradictory nature of our modern understanding of filth, disease, and attitudes towards the human body. ‘Even when we are alone, we are never alone,’ writes award-winning science writer, Ed Yong, in his new book I Contain Multitudes. ‘We exist,’ he argues, ‘in symbiosis […] every one of us is a zoo in our own right—a colony enclosed within a single body. A multi-species collective. An entire world.’⁠1 His new book on the flora and fauna inside us, collectively known as our microbiota, grapples with the myriad ways in which organisms live in symbiotic relationships with each other and with the microscopic world. He intersperses zoological road trips with historical anecdotes, intermediate biology, and experimental statistics, to shed light on the burgeoning field of microbiome studies and what it might mean for our future. This new biomedical research specialism has, in the last 10 years or so, posited links between our gut microorganisms and everything from the efficacy of cancer treatments, vulnerability to diabetes, and responsiveness of our immune systems, to inflammatory bowel disorders, autism, and anxiety. Recent scientific studies have demonstrated that our unique microbiomes have an impact on our somatic, immune, and even psychiatric health. However, recognition of the centrality of our gastrointestinal health to our physical and emotional wellbeing is far from a modern phenomenon. Throughout history, medical, popular, and literary writers alike have all recognised the significance of diet and digestion—from Aristotle’s conflation of ‘normal digestion’ with health⁠2 to George Cheyne’s English Malady (1733) to William Beaumont’s Experiments and Observations on the Gastric Juice (1838). Gout, dyspepsia, and indigestion fill the pages of fiction from Shakespeare to Dickens, and this is particularly apparent in the literature of the nineteenth century; Sir Leicester Deadlock in Bleak House (1853) suffers from gout—‘a demon of the patrician order’, while Byron’s Don Juan (1823), William Gilbert’s The Mountebanks (1892), and Robert Bulwer-Lytton’s Lucile (1860) all make mention of indigestion. Indeed, the nineteenth century saw a perhaps exponential increase in narratives concerned with digestive health. The interdependence between disease and the gastrointestinal region was increasingly being highlighted, and the connections between digestion and the emotions were being repositioned in relation to the demands and requirements of modern life. Physician J. Milner Fothergill, for example, argued that town life bred dyspepsia, producing petite, over-sensitive women, who read novels and couldn’t eat wheat.⁠3 A damning indictment of modernity—and of at least half the academics I know. The central importance of gastrointestinal health within the mind-body system was continually developing throughout the century in dialogue with burgeoning modernity and its scientific paradigm shifts. Germ theory and the development of immunology with its martial metaphors and emphasis on personal and public hygiene, had a lasting legacy, ostensibly leading, in the twentieth century, to the idea that humans are ‘too clean’—encapsulated by the many misconstructions of Prof. David Strachan’s ‘hygiene hypothesis’ in the 1980s. This was the idea that increasing incidences of allergies and autoimmune disorders might be traced to our avoidance of pathogens in childhood. In reality, it is the lack of exposure to vital microbial symbioses that just as crucially underpins this increase. Indeed, recent scholars have suggested a renaming of this phenomenon to better reflect its intended meaning.⁠4 As Yong argues, we need to disabuse ourselves of the reductive categories of invading “bad” and resident “good” microbes,⁠5 ushered in by the warfare-inflected discourses of late nineteenth century immunology. However, although germ theory certainly did inspire a more military approach to understanding disease transmission, explorations of gastrointestinal health in the nineteenth century from an interdisciplinary perspective reveal a more complicated understanding of health. Medical treatise and periodical essays in the nineteenth century are replete with discussions of the ‘war’ against disease—a metaphor that extends beyond the immune system to encompass the scientific ‘battles’ of medical research—however, there is also a sense of symbiosis. Yong’s seemingly modern notion of a ‘multi-species collective’ sits alongside Henry Gabbett’s notion of microorganisms as ‘invisible guests’,⁠6 M. Easter-Ross’s more democratic ‘joint tenants’⁠7, or the Saturday Review’s proposition that ‘every man is a mere firm, a Homo & Co.’⁠8 H. G. Wells’s 1898 novel, The War of the Worlds, reveals the power of a hard-won symbiosis when the Martians are killed by bacteria—our ‘microscopic allies’. ‘Our Gallant Defenders; or the Brave Bacteria and the Bold Bad Bacilli’, Judy, or the London Serio-Comic Journal, 3 Sept 1890, p.116. As Wells’s narrator explains, ‘by the toll of a billion deaths man has bought his birthright of the earth’.⁠9 This blurs the language of microbe morality suggesting that while they are ‘germs’ that we ‘struggle’ against, they might also be friends and allies against invading species. Rather than the taxonomically “good” and “bad” bacteria of the modern probiotics industry—or indeed nineteenth century satirical plays like ‘Our Gallant Defenders: the Brave Bacteria and the Bold Bad Bacilli’⁠10 (1890)—Wells’s story posits a more fluid understanding of microbial-human interactions, in line with Yong’s call for considering terms like ‘parasitic’ or ‘pathogenic’ as relative and context-dependent, rather than tied to taxonomy. 1 Ed Yong, I Contain Multitudes (London: Penguin, 2016) p.3. 2 L. M. De Rijk, Aristotle: Semantics and Ontology Vol 1 (Leiden: Brill, 2002) p.383. 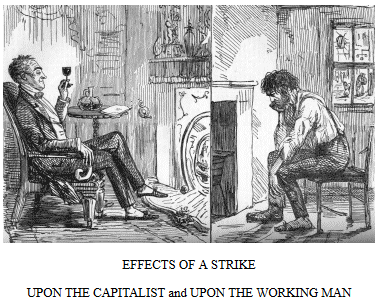 3 J. Milner Fothergill, ‘The Effects of Town Life Upon the Human Body’ The National Review 10(Oct 1887)56 pp.166-72. 6 Henry. S. Gabbett, ‘Beneficent Germs’ The Nineteenth Century 45(1899)268 p.940. 7 ‘Biblical Physics’, John O’Groat Journal, 30 December 1842, p.4. 8 ‘Homo & Co.’ Saturday Review of Politics, Literature, Science and Art 83(1897)2152 pp.85-86. 9 H. G. Wells, The War of the Worlds (Rookhope: Aziloth Books, 2010) p.112. 10 ‘Our Gallant Defenders; or the Brave Bacteria and the Bold, Bad Bacilli’ Judy, or the London Serio-Comic Journal, 3 Sept 1890, p.116. 12 Ronald Ross, ‘Malaria and the Mosquito’ Pioneer, Saturday 3 August 1895, p.3. This is a guest post by Mallory R. Cohn, a doctoral candidate in English Literature and Victorian Studies at Indiana University, Bloomington. Mallory is a former managing editor of the journal Victorian Studies. Her dissertation, “Precocious: A Cultural History,” examines Victorian precocity and prodigiousness as both aesthetic fascinations and threatening pathologies across literary, religious, medical, pedagogic, and eugenic texts. Parenting an “exceptional” child has arguably become something of a twenty-first-century status symbol. In her 2006 book Hothouse Kids: The Dilemma of the Gifted Child, Alissa Quart warns of the dangers of the contemporary, widespread practice of “prodigy-mongering,” or obsessively trying to nurture or create giftedness in children at the expense of non-productive, playful, and spontaneous childhood. Quart claims, in passing, that precocious children were idealized in the Victorian period, wanting to prevent us from repeating history, but I wonder if she knows how “Victorian” her project is. Her title’s reference to “hothouse kids” makes use of a trope that was ubiquitous in the nineteenth century. As Sally Shuttleworth has noted in The Mind of the Child, “The folk saying ‘Early ripe, early rotten’ was frequently invoked” to describe precocious children, “and literary texts drew inventively on the notion of the overblown flower” (145). In Charles Dickens’s Dombey and Son (1848), for example, Dickens prefigures Quart’s title by portraying the overworked classmates of the precocious Paul Dombey as hothouse flowers: “all the boys blew before their time” (162), and Paul’s death is only the school’s worst casualty. In fact, mid-Victorians consistently correlated premature knowledge or ability with death. The novelist Dinah Mulock Craik’s essay “A Child’s Life: Sixty Years Ago” was written about an old book she happened to stumble upon entitled A Father’s Memoirs of His Child, published in 1806 by Benjamin Heath Malkin. Malkin was the bereaved father of a highly intelligent son, Thomas, who before his death at six mastered a good deal of Greek, Latin, and mathematics. Craik was not convinced that the given cause of death—a stomach disorder—was accurate: “In spite of Mr. Malkin’s disavowals, we suspect the already too precocious brain had been overstimulated. . . . Far better, a thousand times, to have thrown English and Greek books together on the back of the fire, and helped, encouraged, nay, even forced, the child to be only a child—that in Nature’s slow but sure development he might become successively a boy and a man” (47, my emphasis). Despite Craik’s advocacy on behalf of the “natural,” it is really slowness that she preaches, an enforced re-pacing of childhood’s temporality that enables it to resist modernizing haste or early professionalization. Precociousness children weren’t “new” in the nineteenth century: exceptional childhood has likely always existed. 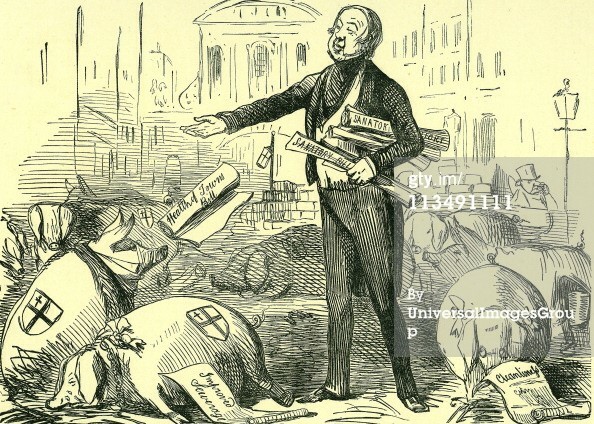 But the Victorians did transmute it into a problem and a pathology, one the psychologist James Crichton-Browne termed “pernicious precocity” and connected to “the practice of commencing artificial education too soon, . . . to which the circumstances of the age are an ever-strengthening incentive” (344-45). Craik’s armchair diagnosis of Thomas Malkin with “water on the brain” illustrates the way that an abstract difference in cognitive processing—namely, precocity—can be pathologized by pairing it with an embodied, material condition, that of hydrocephalus. The two are mutually reinforcing, and framed as both congenital doom—the “already-too-precocious brain”—and as contingent, environmental violence simultaneously. Thomas’s inborn excess of intellect, by some mysterious intermediate process involving Greek and math, generates the water that drowns him. Craik’s belief, common in the period, in “the intimate connection between mind and body, physical and mental soundness” (58), represents a scarcity model wherein the waxing of intellectual power and functional competence either results in the waning of physical power or occurs as a consequence of bodily deprivation or disease. Craik, well over a century before Quart’s Hothouse Kids, has her own anti-child-gardening project, urging parents to cease “lopping them and propping them, training them after some particular form, forgetting that every human being, like every tree, has a growth of its own” (52). And while Quart does not use an explicitly biological model of precocity, or implicate it directly in early deaths, her goal does seem to be to re-pathologize modern precocity along nineteenth-century lines: to render it a mode of being that strikes adults as dangerous rather than desirable. I question, however, whether all anti-precocity advocates are motivated by altruism. While Craik ostensibly writes her essay out of pity for Thomas’s untimely death and to excoriate his father for allegedly causing it, one detects an unmistakable throughline of distaste for the “priggish,” conceited, unchildlike boy she has decided to memorialize: “when we reflect what very unpleasant people . . . [Thomas and another deceased precocious child] might possibly have become, we think almost with satisfaction of the two little graves” (51). Craik’s concern for “poor Thomas” cannot quite hide the affective strength of her dislike of his unusualness: his refusal to perform childhood naturally. Precociousness is a complaint that induces complaining, a nuisance in every sense. We sense a relief in Craik’s essay, even sixty years on, that Thomas was culled from the social fabric. Here, the weakness that attends abnormality allows for a Darwinian cleansing: the precocious are unfit to survive. Craik, Dinah Maria Mulock. “A Child’s Life: Sixty Years Ago.” The Unkind Word, and Other Stories. Freeport, N.Y: Books for Libraries Press, 1969. Short Story Index Reprint Series. Crichton-Browne, James. “Education and the Nervous System.” The Book of Health. Ed. Malcolm Morris. London: Cassell, 1883. Dickens, Charles. Dombey and Son. London: Penguin, 2002. Malkin, Benjamin Heath. A Father’s Memoirs of His Child. London: Longman, Hurst, Rees, and Orme, 1806. Quart, Alissa. Hothouse Kids: The Dilemma of the Gifted Child. New York: Penguin, 2006. Shuttleworth, Sally. 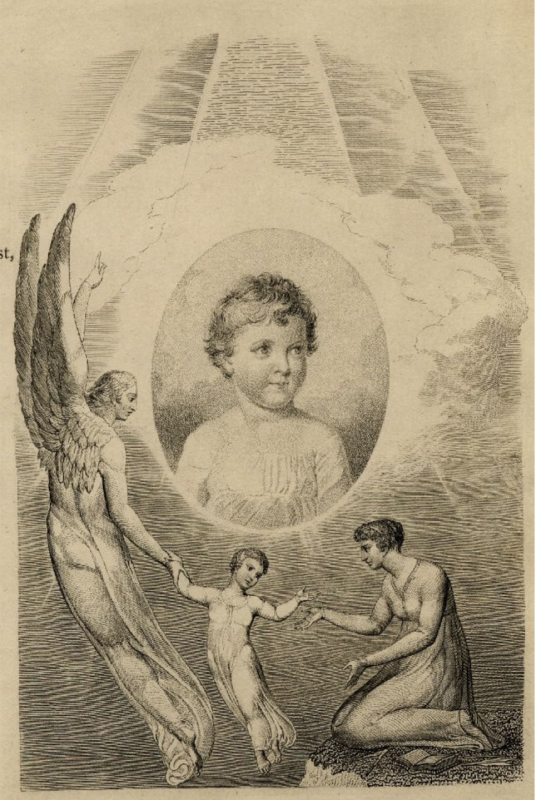 The Mind of the Child: Child Development in Literature, Science and Medicine, 1840-1900. Oxford: Oxford University Press, 2010. This is a guest post by Agnes Arnold-Forster, a third-year PhD candidate in the History Department at King’s College London. Agnes’s research, funded by the Arts and Humanities Research Council, looks at cancer in Britain, from 1792 to 1914. She is an editor of the history of sexuality blog Notches. Woods Hutchinson (1862-1930) was an English physician who trained as a doctor in the United States. As well as a successful pathologist, clinician, and public health practitioner, Hutchinson was a prolific writer, covering evolution, comparative pathology, exercise, civilization, and war in his wide-ranging publications. In 1899, the Contemporary Review published an article by him, thick with metaphorical allusions and polemic, entitled ‘The Cancer Problem: Or, Treason in the Republic of the Body.’ Here, Hutchinson condensed to thirteen pages the diverse and fraught anxieties that attended cancer in late-nineteenth-century Britain. 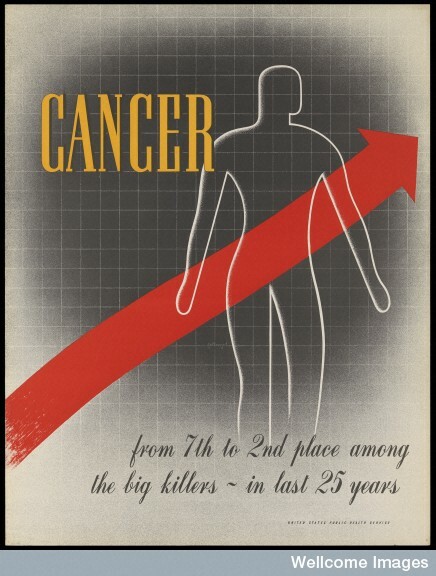 The collection of vital statistics in Britain from the 1840s onwards suggested to troubled observers that cancer’s incidence was increasing exponentially. This perceived ‘cancer epidemic’ captured the medical and lay imagination, and promoted fierce debate in the pages of medical journals, general interest publications, and in parliament. Hutchinson was thus not alone in lamenting its increase ‘at such an appalling rate.’ He posed cancer as ‘the riddle of the Sphinx for the twentieth century’, and positioned the disease as an unintended consequence of civilisation and progress. Roy Porter has called cancer ‘the modern disease par excellence’ and Siddhartha Mukherjee has described it as ‘the quintessential product of modernity’, and we tend to think of cancer as closely tied to the twentieth century, and its increase as a product of recent changes in ways of living. Thus, cancer is mostly absent from histories of the nineteenth century. However, as Woods Hutchinson demonstrates, people were expressing concerns about cancer and modernity in the nineteenth century, and saw it as a product of changes to Victorian lifestyles and environments. Cancer, ‘the deadliest and most uncontrollable of known diseases’, was metaphorically tied to the decline of the late-nineteenth-century nation. An increase in cancer incidence was taken as evidence of the waning power and significance of Britain and its empire in the fin-de-siecle. Hutchinson described cancer as ‘emphatically a disease of senility, of age.’ If it was a malady that peculiarly affected those in the twilight of their years, it was also a disease that manifested national and imperial decline. Cancer was understood to affect organs that had begun to ‘atrophy’ (breasts after the menopause, for example), and to flourish in countries that were diminished in influence. Cancer was, therefore, a disease of late-nineteenth-century modernity. It was seen as both a product of social and biological progress, and a consequence of national and imperial decline. The nation-state mirrored the processes of the natural body. It grew, advanced, and improved, before beginning an inevitable and irreversible decline, only for life to be brought to a close through a catastrophic rebellion of cells, or rather population. This trajectory was only available to those nations/individuals who achieved both longevity and modernity. Thus, societies and communities that were situated on lower rungs of the Victorian racial hierarchy were vulnerable to neither cancer nor collapse. As Hutchinson suggested, ‘Cancer is the price paid for longer life.’ High cancer incidence was, therefore, both an indicator of civilisation, and the mechanism by which that civilisation would fall apart. 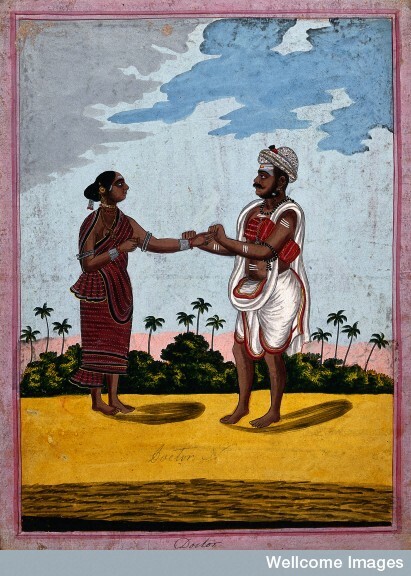 This is a guest post by Dr Josephine Hoegaerts, a Research Fellow at the Helsinki Collegium for Advanced Studies and the author of Masculinity and Nationhood, 1830-1910. Constructions of Identity and Citizenship in Belgium. Josephine runs a blog a Singing in the Archives and is currently writing a monograph on the changing social ascriptions to the speaking and singing voice in Western Europe, tentatively entitled Speakers, Stammerers and Singers. A Social History of the Modern European Voice. Around the turn of the 20th century, Tarrangower, an ‘Establishment for the cure of stammering and all defects of speech’ was founded on the outskirts of London. Its director, William Ketley, ran the establishment with his wife and daughters following the principles of a stammering treatment set out by his father in law, Benjamin Beasley. It was advertised as a wholesome family business, where ‘resident and non-resident pupils’ alike could expect to be cured of their embarrassing impediments. Tarrangower, as it was depicted in Ketley’s book-length account of ‘The Beasley Method’ was a picture of late-Victorian refinement and domesticity. 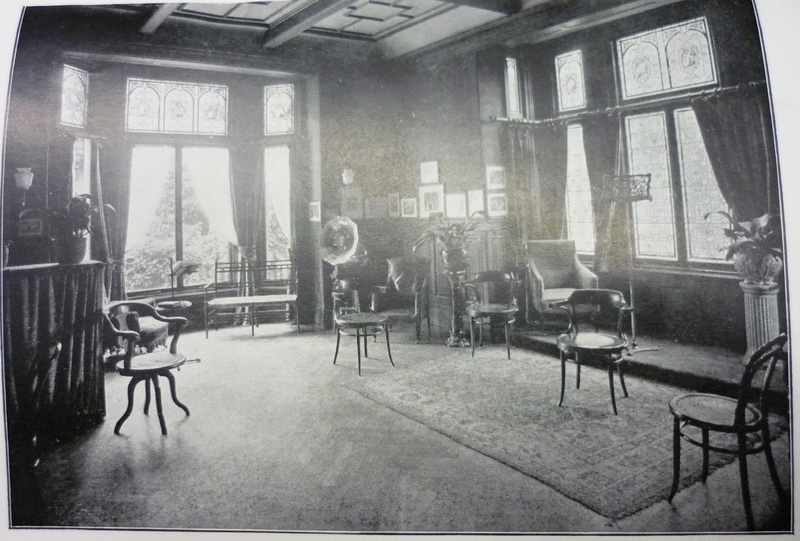 Its airy lecture-room offered a view over the wide grounds and even boasted a gramophone, a sure sign of the establishment’s modern aspirations and innovative approach to pedagogy, therapy and entertainment. In fact, Tarrangower and the Ketley-Beasley family seemed to present themselves as the advocates of an explicitly modern and new understanding of stammering and the stammerer’s identity. In the introduction to Stammering: The Beasley Treatment (1900), Ketley characterized the stammerer – his potential client or pupil – as a strong master of his own fate. The latter part of that sentence, especially, signaled a departure from earlier interpretations of stammering. Throughout most of the nineteenth century, the impediment had been understood as a nervous disease, comparable to other afflictions that entailed involuntary movement, like chorea or St Vitus’s Dance. Stammering was thus essentially heard as speech interrupted by the twitches and contractions of an unruly tongue, caused by an inability to control one’s own body due to some weakness of the nerves (or indeed of character, as some authors seemed to suggest). The affinity between stammering and nervous disease was a puzzling one for nineteenth-century scientists and therapists. Nervous afflictions were generally understood to be a ‘feminine’ pathology, but the statistics that were compiled on stammering throughout the century showed that women were far less likely to stammer than men. Experts disagreed on the exact percentages (some claiming that women did not stammer at all, while others thought up to one third of stammerers were female), but they were unanimously stumped by this anomaly in nervous pathology. Explanations were sought, rather unsuccessfully, in women’s anatomy (their smaller larynxes would make speech easier), and in their loquaciousness (giving them more practice in developing fluent speech). It was only toward the end of the century that the paradox of the male stammerer was resolved. In the 1870s, a new type of expert emerged in the field of speech pathology. After a long period of territorial conflicts between physicians (often depicted as heartless butchers, overly keen to cut into stammerers’ vocal organs) and therapists (often ridiculed for their lack of medical expertise and denounced as quacks), a happy medium was found between medical and educational approaches to speech impediments. Benjamin Beasly was one voice among a new generation of experts who explicitly combined the results of scientific medical research and educational practice in their work. Considering the stammerer neither as a patient to be observed and cured, nor as a nervous weakling unable to control his tongue, Beasley proposed a series of exercises that explicitly mobilized the self-discipline he expected his ‘pupils’ to have. His main claim to expertise on the subject was his own experience of stammering. According to his Reminiscences, Beasley had been an inveterate stammerer who had fruitlessly tried out all cures until he finally devised his own method to obtain fluent speech. “My own personal experience unquestionably proves to me how fearfully one may be afflicted with the impediment without having reason to attribute it to nervousness. As a child I was very healthy and robust, and at the age of five or six years was remarkable for my fluency of speech and perfect articulation.” (Benjamin Beasley, Stammering: Its Treatment, London: Waterlow and Sons, 1888). Was the robust, self-made male stammerer, so eminently capable of overcoming his own impediments neurotic and nervous after all, then? Perhaps, but only – according to Beasley and Ketley, because his ‘nervous force’ was so great and his intellect so exceptional. This is a guest post by Dr. Jennifer S. Kain, a Junior Research Fellow at the Institute of Historical Research, University of London, and author of ‘The Ne-er-do-well: Representing the Dysfunctional Migrant Mind, New Zealand 1850-1920’ (Studies in the Literary Imagination, 48:1, 2016). Jen completed her PhD entitled ‘Preventing Unsound Minds from Populating the British World: Australasian Immigration Control and Mental Illness, 1830s-1920s’ at Northumbria University in 2015. In the nineteenth century the temperate parts of Australasia were imagined as therapeutic destinations for wealthy invalids. ‘Ordinary’ migrants seeking assisted passages, on the other hand, were expected to be sound of body and mind, sober and industrious. Likewise, self-paying passengers were subject to immigration controls which, in theory, identified those likely to become public charges. These bureaucratic regulations existed alongside commercial attempts to attract moneyed health-seekers to these regions. Shipping companies promoted their destinations, and the voyage itself, as restorative for those suffering from what we might call today anxiety disorders. Antipodean voyages on modern steam-liners were marketed as the ideal way of escaping from the stresses of professional lives in polluted British cities. This promotional trope emerged in the latter two decades of the nineteenth century. In 1890 Dr. John Murray Moore recognised how, in this ‘new travelling age’, it was fashionable for doctors to send ‘nerve-exhausted’ patients to New Zealand or Australia, chiefly for the sake of the voyage. ‘Globe-trotters’, he enthused, were benefitting from conditions on the modern steam-liners and from the reduction in fares due to the commercial competition between shipping operators. The Orient Line and the Peninsular and Oriental (P & O) Steam Navigation Company sought to capitalise on this ‘new age’. They created plush illustrated guides to promote their voyages as therapeutic, in particular for ‘brain workers of our large cities’. The P & O’s 1888 guide included a chapter entitled ‘The Ocean Cure’ which attributed this phrase to a recent article in the British Medical Journal. The author applied the descriptor ‘brain-worker’ to middle-aged men who spent long sedentary periods in a study or office. Clearly promotional in nature, the BMJ piece warned against the prevailing advice given to those with ‘exhausted nervous systems’ to go hunting or fishing. This type of violent muscular exercise, the writer warned, was likely to trigger an attack of acute disease. Instead, the professional man was far better taking a sea voyage through which to escape the post-office and the telegraph wire, thus restoring his exhausted energies. The Orient Line likewise promoted their voyages as especially beneficial to the ‘over-taxed or professional business man’ who, apart from dressing and eating, would ‘need undergo no mental or bodily exertion whatever’ on-board. 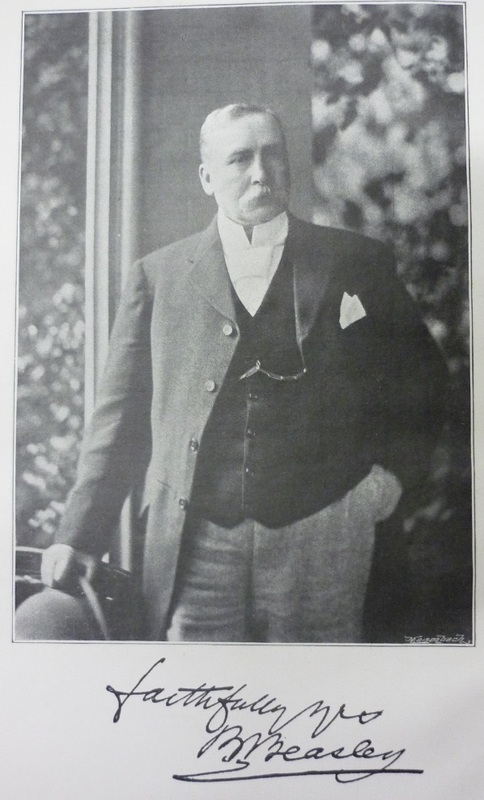 The Orient Line’s own medical officer, James Struthers, equated the modern conditions on-board with technological and scientific theories. 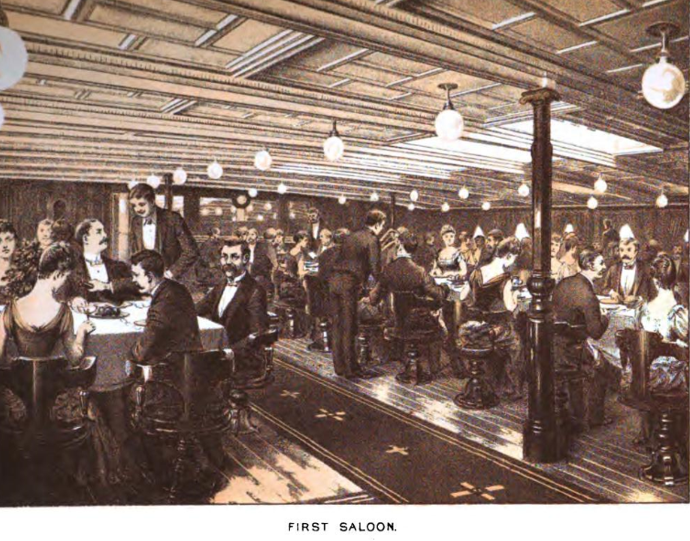 He enthused that, while the abundance of internal electric lights neither used up oxygen nor emitted fumes, the main benefit of the voyage was the time spent on deck. The atmospheric conditions – a combination of sunshine, ozone, sodium chloride, bromine and iodine – served to improve sleep and appetite. Such an environment was ideal for those medically advised to ‘rest their minds’. These types would find their capacity for labour improved accordingly. Struthers countered this positive spin with the warning that those whose mental disorder was ‘likely to cross the borderland between sanity and insanity’ should never be sent to sea. The same restful conditions for the ‘insane’ could prove fatal. While the melancholic, if not kept busy would ‘brood on his grief’, those contemplating suicide were constantly reminded of how easy it would be to throw themselves overboard. This caution reflects an interesting parallel with the concern expressed by colonial administrators that the voyage itself triggered ‘latent insanity’ in migrants. This idea, which emerged in the mid-nineteenth century, was associated with the fear that certain migrants carried ‘transmissible defects’. And yet, while early twentieth-century Australasian immigration restrictions sought to keep out the ‘defective’, wealthy professional men were not considered in such terms. Those ‘fleeing from worry and strain’ remained feted as the ideal passenger. The increasing medical attempts to codify levels of mental and moral disorder were reflected in Dr Elder’s The Ship-Surgeon’s Handbook (1911). Elder acknowledged that most patients, including the ‘business man’, were sent to sea due to neurasthenia. 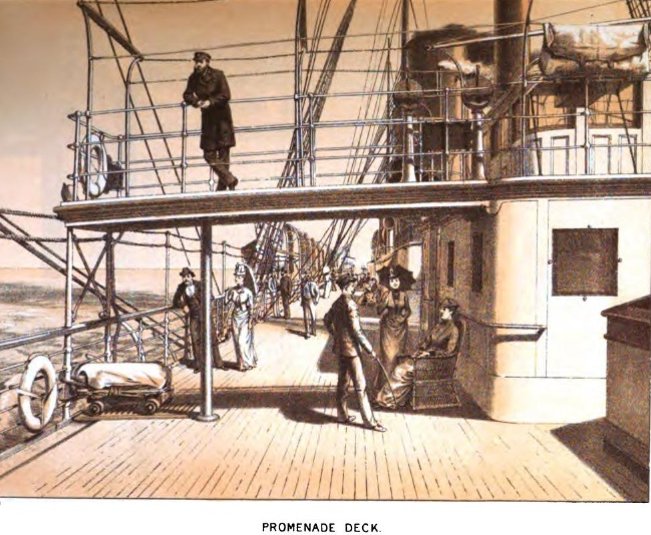 The therapeutic success of the voyage was determined by the choice of ship, season and route. The ‘overtired and overworked’ man, Elder advised, should travel on a full ship. This gave him the opportunity to take part in social activities to distract him from his worries, or, if more preferable, seek out similar types with whom to ‘foregather quietly’. Additionally the time and medical facilities on-board allowed him to undergo minor surgical operations, such as the removal of varicose veins. It is interesting that the so-called ‘nerve-exhausted’ men were credited with the mental capacity to make such decisions as how to best spend time on board. These types were deemed the most likely to convalesce from the stresses caused by the overload of modern life. Those of a different class, vocation, and gender were not seemingly classed as a significant marketing demographic, nor were the ‘properly insane’.